"Yes, there they were: Force and Fraud, contending with each other -- the two crimes, which so often unite in the destruction of mankind, now striving for the mastery." High marks for this book, which has a dual significance: since it is most likely that it is the first work of crime fiction written in Australia, that also makes it the first work of crime fiction written by an Australian woman. There is a full biography of Ellen Davitt at Design and Art Australia Online for readers who want to know more about the author. Force and Fraud first appeared in Volume 1, issue #1 of The Australian Journal: A Weekly Record of Amusing and Instructive Literature, Science and the Arts. Lucy Sussex, in her book Women Writers and Detectives notes that from the Journal's beginnings, it had a "crime bent," which is obvious by some of the titles listed here in another article by Sussex; its founding editor was also an ex-policeman. 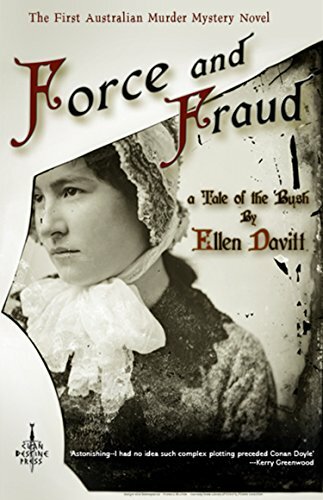 Watson says that Force and Fraud was "pioneering in its status as the first murder mystery in Australia, and the first 'whodunit'," but sadly, Davitt is yet another woman crime writer who has faded into obscurity. The good news is that, as Derek Parker notes at The culture concept circle, Davitt's "importance to the modern day crime novel" has been recognized by Sisters in Crime Australia, who have "created the annual Davitt Awards to honour Ellen Davitt and foster home grown crime writing talent." Considering its significance in the history of crime fiction writing, hopefully more mystery/crime readers will become aware of Force and Fraud, which as I said earlier, deserves very high marks. It is not your ordinary whodunit by any stretch -- while the story progresses, it moves from the bush to small towns to the city of Melbourne, and there's even a brief bit at sea as a ship makes its through a treacherous reef. These parts of Australia of the time are represented well here; the sense of place is so strong that I could picture it in my mind while reading. The actual story revolves around a young woman, Flora McAlpin, whose father ("a relic of the feudal ages") is murdered and whose fiancé Herbert Lindsey is jailed for the crime. He, of course, protests his innocence, but the weight of the evidence is so strong against him that even he gets the picture. However, while Lindsey awaits trial in jail, we are made privy to the machinations of the true culprit, suspected by no one. He's a pretty nasty piece of work and it's pretty obvious from the beginning that he's got a hand in it all, but watching everything unravel is the best part of the book. There's also a bit of a literary angle going on here, captured in one scene in particular where Mr. Stewart the jail chaplain opens a book "by chance," after deciding that Lindsey, "the delicately minded young man" could "never have committed murder." The book happens to be Thomas Hood's poems about Eugene Aram; the point made is as he realizes that "all murderers had not been branded ruffians," something worth remembering as the story progresses to its end. One more thing that I feel strongly about in this novel is the characterizations, which are unbelievably realistic and move from lower to upper classes and everything in between. While not all crime readers will immediately run to pick up a copy of Force and Fraud, I particularly enjoyed this one and once I'd started, was reluctant to put it down. It's a book I can certainly recommend, especially to readers who are interested in the history of crime writing and to others who like me, are heavily into older crime novels. It's certainly worth checking out and the bottom line here is that it's also a lot of fun. Thanks Skye. I don't think you need the email address in the post, though! 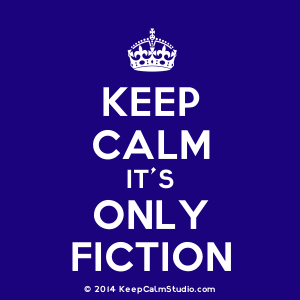 It is a fine novel, for sure.